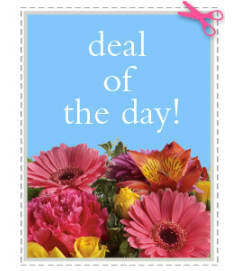 Put a smile on her face and a spring in her step with this delightful little garden bouquet. 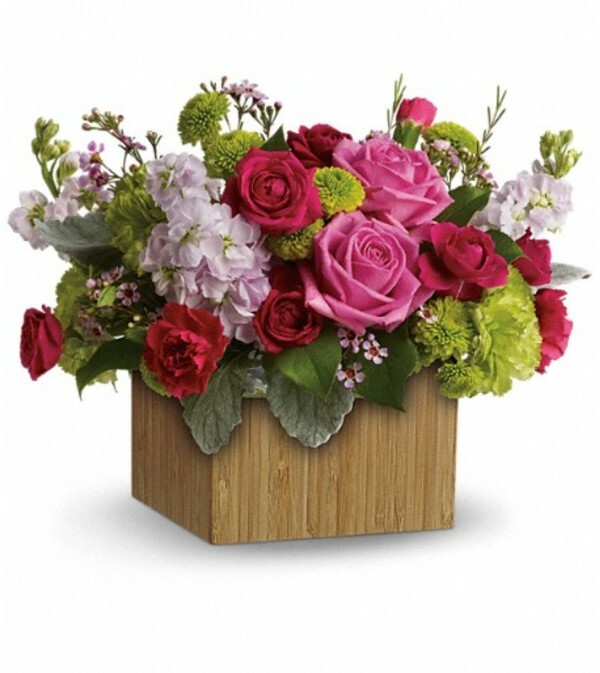 Presented in a chic bamboo box, its happy hot pinks and lovely lime greens give a colorful pick-me-up! 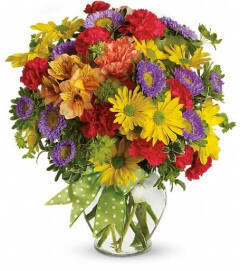 Bright pink roses and carnations are contrasted with green carnations and button spray chrysanthemums, light pink stock and delicate lavender waxflower -fresh greens include lemon leaves and soft dusty miller. 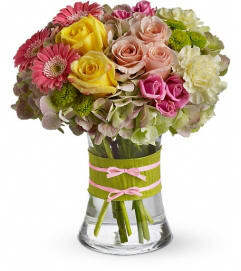 Delivered in a sculptural natural bamboo vase to give it a contemporary look.